Define the "Gospel." 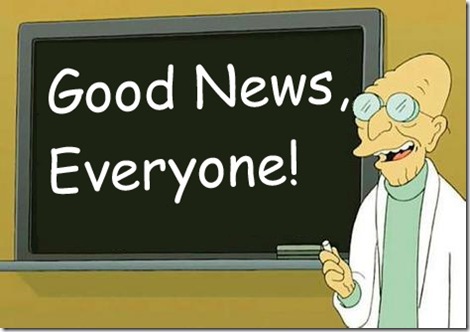 Describe what makes it "good news." The fact that it is freeing. God gave us His word so that we may know his intentions for us, His standard for each and every one of his children. It is water to our worn out a d dry rusted old body's. The gospel is the greatest gift that we could ever receive. It is the news that God predistined us to be saved by Jesus Christ so that through his death we would not have to face eternal severity and separation from God and be able to spend an eternity with him. "Cheer up! you are worst than you think you are. Cheer up! God loves you more than you can hope for and showed it by sending His own son"
We can never accomplish the "law WOD" and fail terribly over and over again. But God loved us and sent His Son to perform it for us. Our shameful score became HIs and His perfect score ours by sheer grace! To me the Gospels offer hope. Hope is always good news. The Gospel is good news because it gives hope to those where there was no hope before, because in Jesus there is freedom.